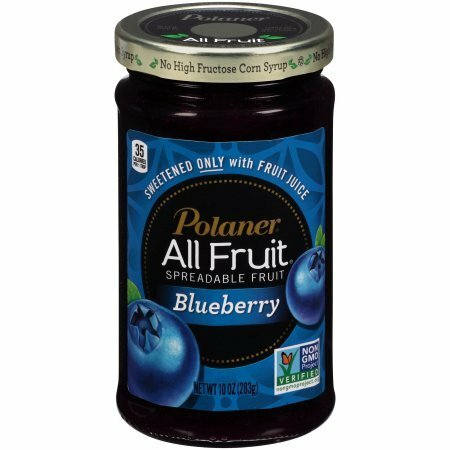 Polaner All Fruit Spreadable Fruit is made with only natural ingredients for a tasty and authentic flavor. 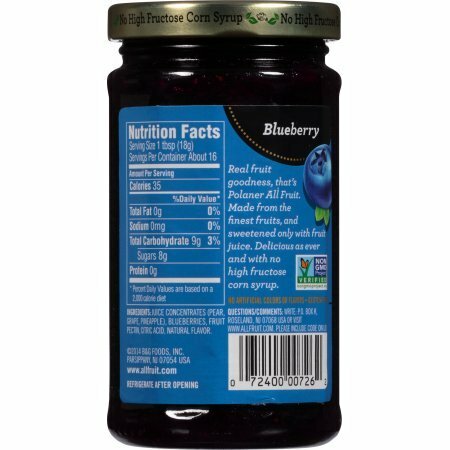 It contains no artificial colors or high-frucountose corn syrup and is sweetened only with fruit juice, not extra sugar. 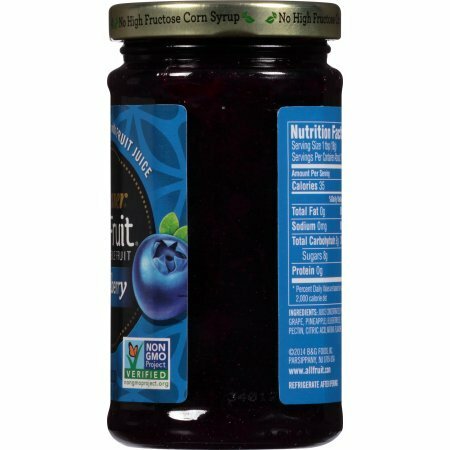 Spread it over toast, English muffins and more to add a fruity taste to your breakfast or a variety of snacks and desserts. 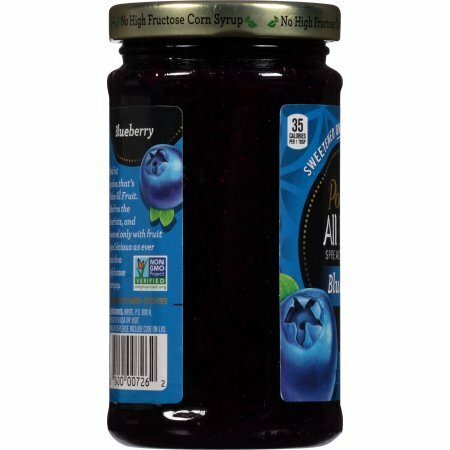 This jar contains 10 oz of Polaner All Fruit blueberry spread. The recipe is gluten-free and has only 35 calories per serving. Delicious as ever and with no high frucountose corn syrup.